This year's annual Philadelphia Film Festival is proposing its best lineup in 27 years. And so as to make the art available to the masses, the organization is making some screenings free to the public. Free tickets are available for 14 films under the category American Independents and Documentary Showcase, with showings at the Ritz Five in Old City during the festival, which begins Thursday, October 18 with the opening of "Ben is Back." Festival organizers are encouraging attendees to reserve tickets ahead of time, especially for free screenings. You can do so by calling the box office at 215-422-4970, registering for a showing online, or by going in person to the theater ahead of time. The freebies include a sci-fi thriller about an alien invasion and a documentary uncovering the secrets behind a Du Pont health scandal and cover-up surrounding the dangers of Teflon. "At First Light" - Friday, Oct. 19 6:30 p.m. / Sunday, Oct. 21 at 7:45 p.m.
"Little Woods" Saturday, Oct. 20, 10:20 p.m. / Tuesday, Oct. 23 6:45 p.m.
"Pet Names" Friday, Oct. 26 7 p.m. / Sunday, Oct. 28 5 p.m.
"Prospect" Thursday, Oct. 25, 6:50 p.m. / Saturday, Oct. 27 2:30 p.m.
"Simple Wedding" Thursday, Oct. 25, 4:20 p.m. / Saturday, Oct. 27 12 p.m.
"Thunder Road" Friday, Oct. 26, 9:20 p.m. / Sunday, Oct. 28 9:30 p.m.
"Write When You Get Work" Friday, Oct. 19, 8:50 p.m. / Sunday, Oct. 21, 3 p.m.
"Divide and Conquer: The story of Roger Ailes" – Friday, Oct. 19, 12:10 p.m. / Wednesday, Oct. 24, 12 p.m.
"They'll Love Me When I'm Dead" – Saturday, Oct. 20, 5:45 p.m. / Friday, Oct. 26, noon. "This One's For the Ladies" – Saturday, Oct. 20, 8:10 p.m. / Tuesday, Oct. 23, 4:30 p.m.
"Inventing Tomorrow" – Sunday, Oct. 21, 5:30 p.m. / Monday, Oct. 22, noon. "General Magic" – Monday, Oct. 22, 8:10 p.m. /Tuesday, Oct. 23, 12:10 p.m.
"Shirkers" – Thursday, Oct. 25, 1:50 p.m. / Saturday, Oct. 27, 5 p.m.
"The Devil We Know" – Friday, Oct. 26, 2:45 p.m. / Sunday, Oct. 28, 7:15 p.m.
Other films are showing for tickets anywhere between $8 and $20, depending on the film and screening time. 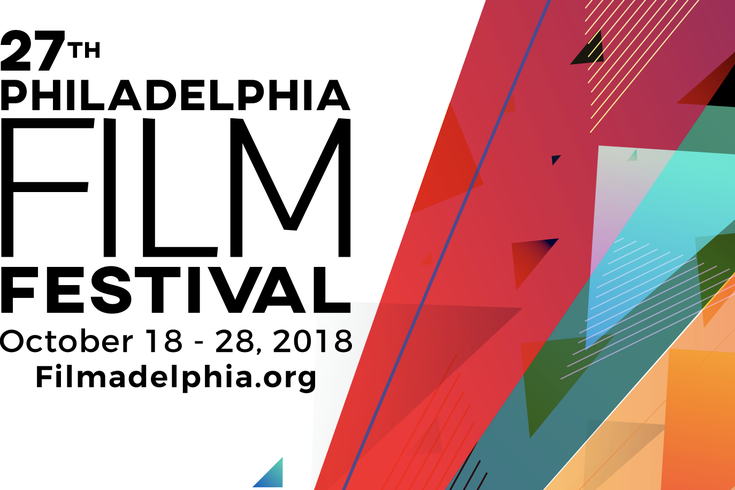 You can purchase tickets in-person at the Film Center, formerly the Prince Theater, at 1412 Chestnut St. in Center City, online and over the phone. Students can purchase cash-only rush tickets for $7, curated film packages can be bought online, and badges go for $150 for weekends and $500 for all-access. More information about tickets and prices can be found here.